In May 1997, World Chess Champion Garry Kasparov, regarded by many as the greatest player of all time, came to New York to face his most unusual and challenging opponent yet. Deep Blue, a supercomputer developed by a team of IBM Scientists in a project started ten years earlier, was capable of calculating 200 million chess positions per second and was incapable of tiring, losing heart or making an oversight. Six games would be played for over $1 million in prize money. 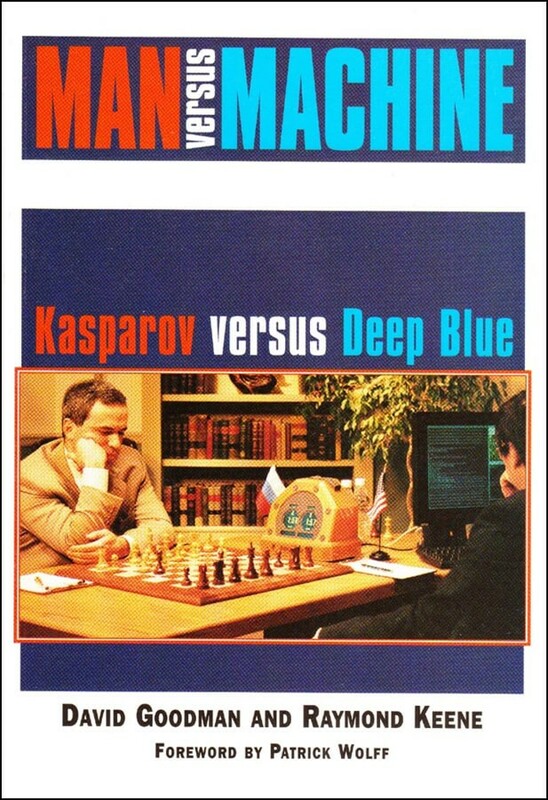 Man versus Machine: kasparov vs. Deep Blue is the definitive on-the-scene report that every chess enthusiast must read. 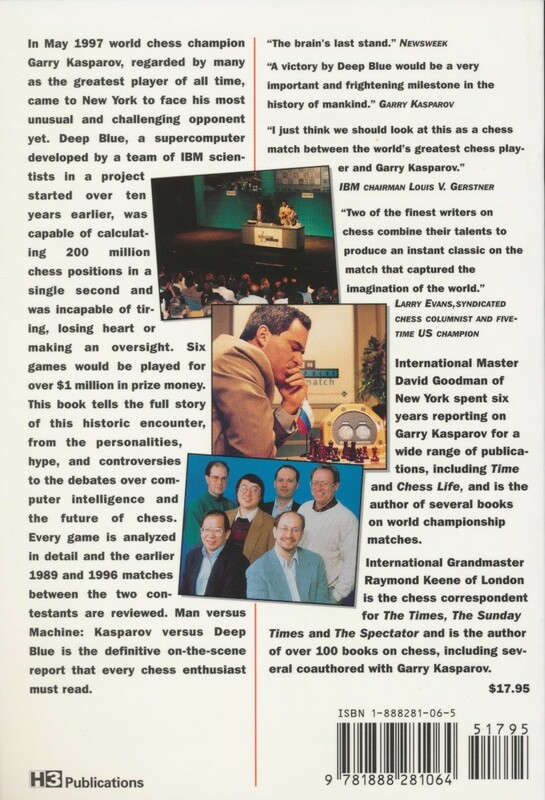 International Master David Goodman of New York spent six years reporting on Garry Kasparov for a wide range of publica-tions, including Time and Chess Life, and is the author of several books on world championship matches. International Grandmaster Raymond Keene of London is the chess correspondent for The Times, The Sunday and The Spectator and is the author of over 100 books on chess, including several coauthored with Garry Kasparov.